52584 Turnbury Court Shelby Twp, MI. | MLS# 219017653 | The premier resource for all real estate information and services in Metro Detroit. 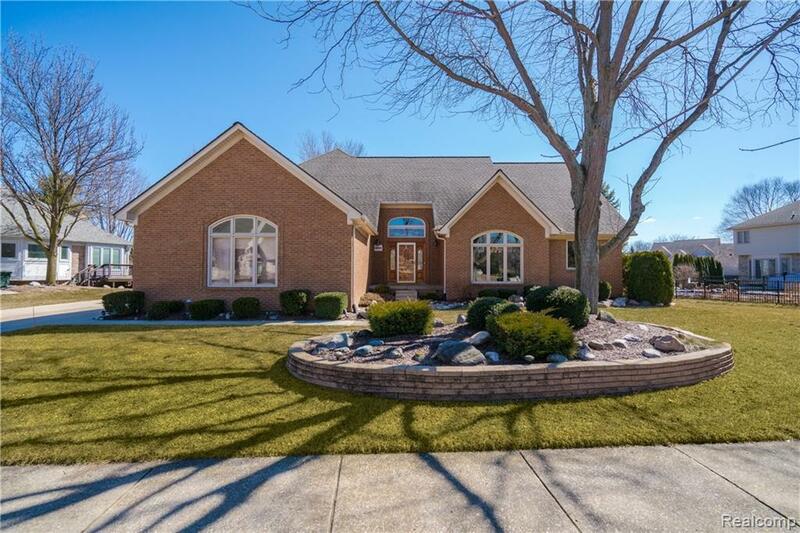 Pride of ownership shows!Over 4,200 sq ft of fin space on a dead end court.Many updates & lots of charm!Two story foyer & great rm w/floor to ceiling brick fireplace,& motorized shades offering plenty of nat sunlight from the large windows.Spacious kitchen w/large island,ample cabs,walk in pantry,& eat in area w/doorwall to stamped concrete patio.1st floor master w/WIC & dual vanity bath.Office w/floor to ceiling windows.Formal dining w/bay window.Large upper beds & closets w/custom organizers.Double vanity upper bath.Lots of closet space,fresh paint,crown molding,newer carpet,& recessed lights throughout.First floor laundry.Updates incl furnace,ac,humidifier,garage door,seamless gutters,& dimensional roof.Whole house generator.Pristine landscaping w/paver retaining flower bed,exterior lighting,and xtra large driveway.Gorgeous finished bsmt w/2nd full kitchen & wet bar,recessed lighting,6 panel doors,media area,exercise area,& lots of storage closets & workshop space. Amazing home! !